When it comes to putting together outfits, inspiration can be found absolutely anywhere. I’m always on the lookout for creative color, pattern, or shape combinations to find new and fun ways to wear the pieces in my closet. A few weeks ago, I picked up some Hallmark Signature cards and was instantly inspired by their colorful, stylish, clever, and creative designs. I love giving cards, and in a sea of really stupid cards, the Signature Cards totally stand out. I chose a beautiful hand stitched card to give to my husband for our 9 year anniversary of the day we met (which we celebrated last week!) and used the colors as inspiration to create a simple and summery date night look with a neon red top and pleated midi skirt. Perfect for a night out with my guy. I also picked up a fun party in a box card for my best friend whose birthday is this week. I love clever little cards, and this one comes with confetti, a little piñata, a candle, a balloon, and even a little birthday bunting. 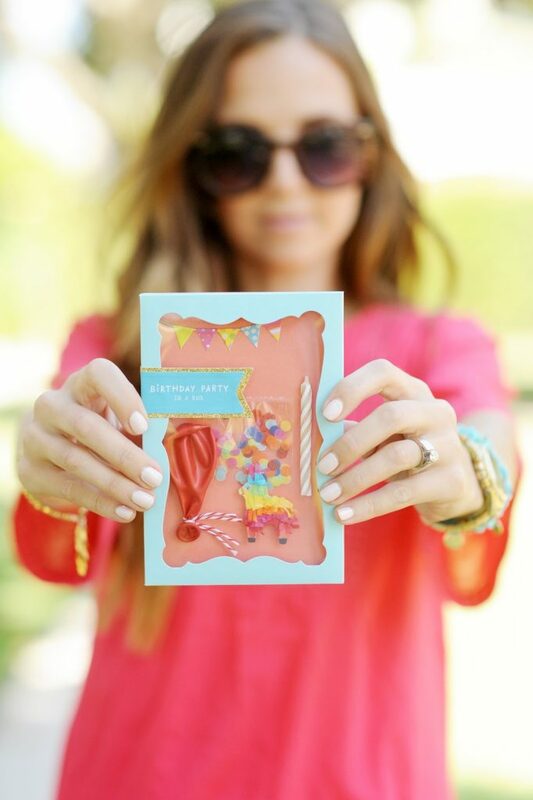 The inside says to “just add you” for an awesome celebration — perfect, right? 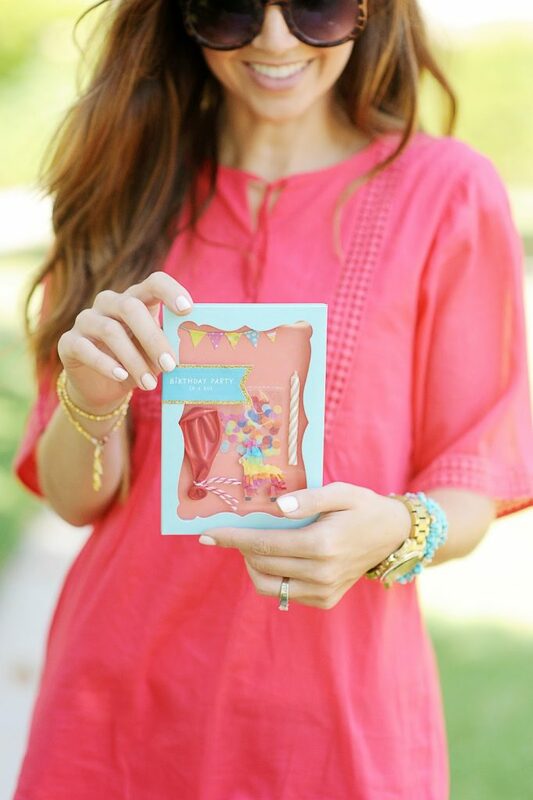 I used the fiesta vibe as inspiration to create a girls night outfit, with an embroidered pink tunic, a beaded bag, teal stone bracelets, and neutral strappy sandals. It’s easy to get bored of your closet, but if you find inspiration in everyday items (even something completely unexpected like greeting cards!) you’ll get more out of your closet and find new ways to style and wear your clothes. 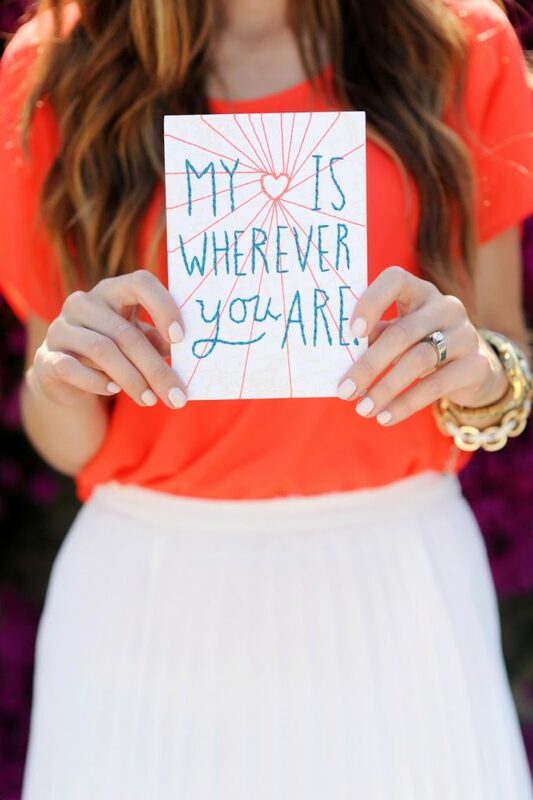 Check out their entire line of gorgeous cards right here, and use the store locator on their site to find a store near you that carries their cards. 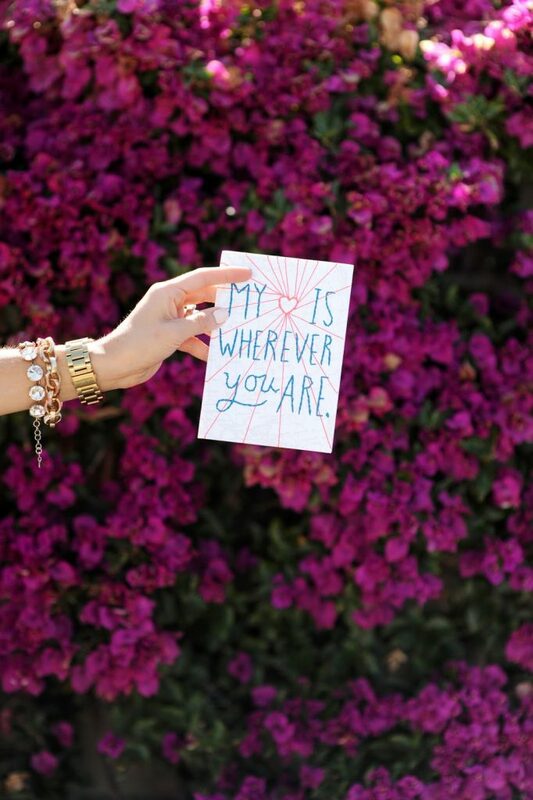 And for more even more pretty inspiration, follow @HallmarkSignature on Instagram! a huge thank you to Hallmark Signature for partnering on this post and helping me feel more inspired by my closet! 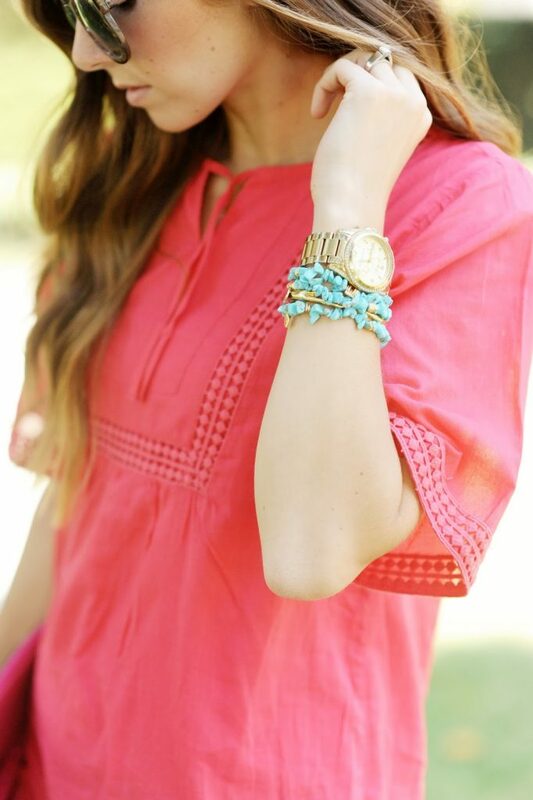 Both outfits are very pretty and perfect for summer! I like your both pairs of shoes and the white skirt very much! How cute! I too notices color combinations somewhere and think they would be perfect in an outfit. 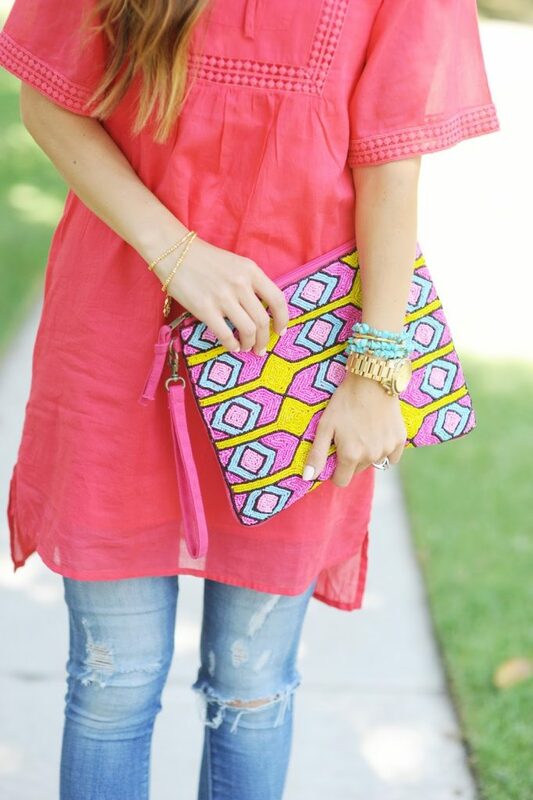 OMG, I saw a similar laser cut clutch the other day and talked myself out of buying it. And now you’re making me want to run straight to the store to get it! I love that you pick pieces from the girls section! My husband always makes fun of me when I do it, but they have some serisouly awesome pieces there sometimes! 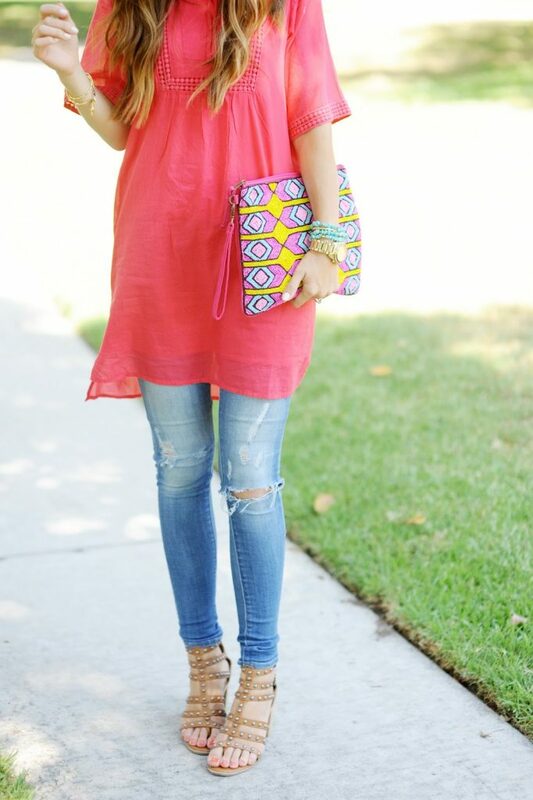 That tunic looks amazing on you! I love both looks ! You look stunning!! cute cute cute<3 love your outfits!